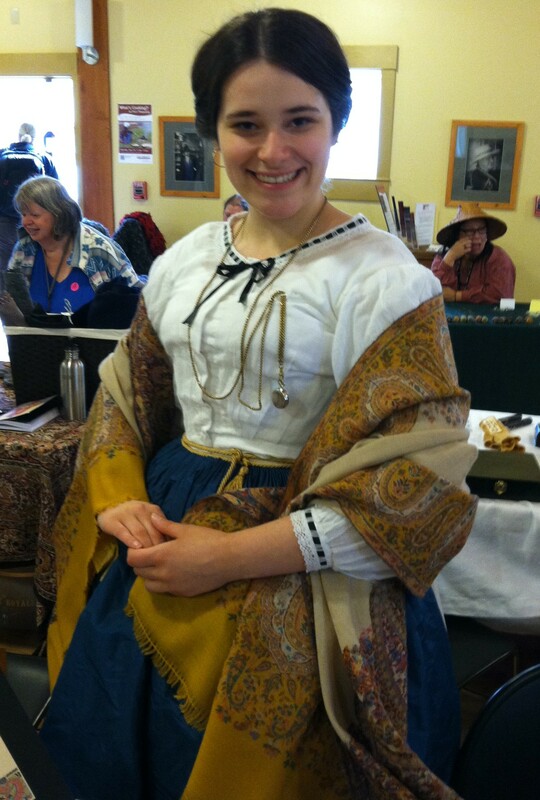 I spent a lovely day in the 1850s up at Fort Nisqually for our annual May event, “Queen Victoria’s Birthday.” This year’s event was a little different, as we had an artisan fair, where reenactors were invited to sell some of their wares. I didn’t make too much on my costumes (Etsy, here I come! 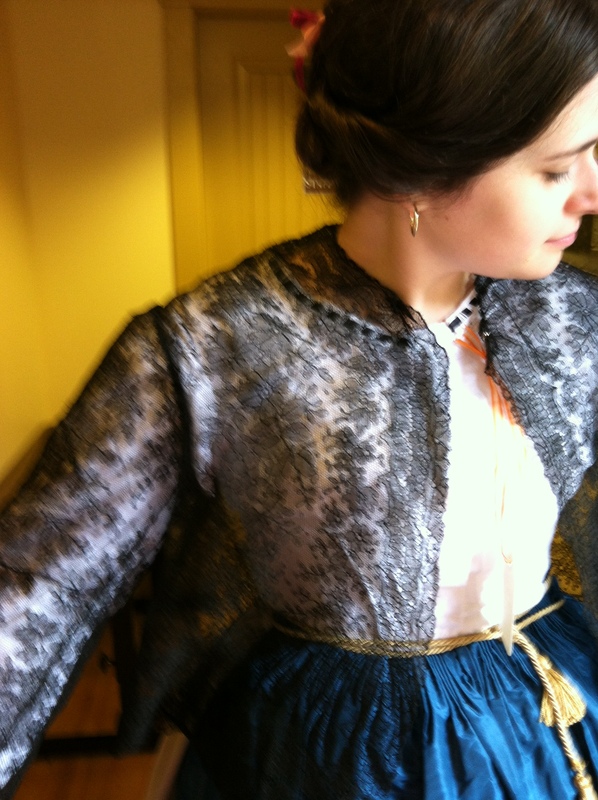 ), but I did come home with this fabulous Victorian black chantilly lace jacket. 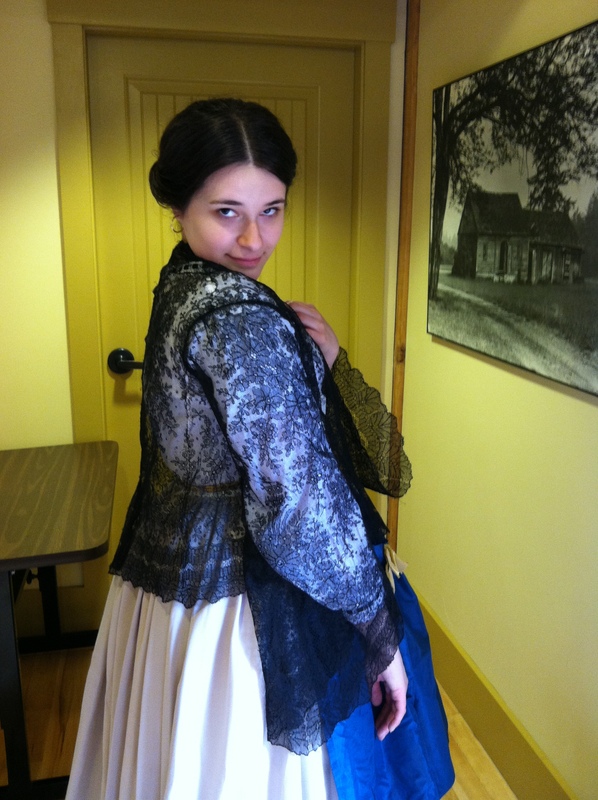 I call this my “Naughty Victorian” pose . . . It was Auntie B’s and she gave it to me on the condition that I would make her a new dress (of course I said yes). I also tried on this fabulous cashmere repro shawl. I think I might just have to get it, look how well it goes with my outfit! Of course, the day wasn’t all spent shopping and trying things on. My reenacting bestie, Nona, was able to make it, which was super fun. 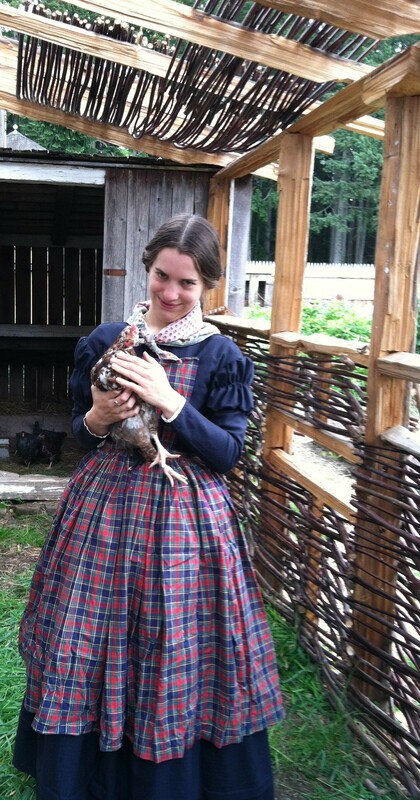 Here she is in the new chicken coop (isn’t it amazing with that woven roof!? ), fearless among the fowl. Anyways, I’m headed down to Portland tomorrow for a vintage brunch, which I’m really looking forward to! I do need to get my beauty sleep, however. I tell ya, being this fabulous is exhausting! and somewhere I understand your fear, all tough I dont have it myself. Love the last line. It sure can be exhausting attending fabulous events and taking the time to look stunning for them! 😉 Thanks for sharing about this event! Of course! And thank you so much for reading! Such a beautiful jacket, well worth the hours spent funning about with Auntie B. And that woven roof is giving me a new search thread. I love learning new things that I hope never to use! Sort of random question, but how did you attack the chain of your watch to your bodice? I ask because I have an old watch that was my great, great, grandmother’s for when she taught school. It has a chain about the same length as the one you have, but the actual watch face has about a 2 inch diameter, so it is very heavy! Do you know if the watch would have been placed in an apron pocket, or attached like you have done to yours? I am a bit new to reenacting, so I am looking for as much information as I can get! No, great question! I actually pin mine to my bodice, since it’s light enough. For heavier ones, I know that during the period some bodices and skirts actually had watch pockets built into them, but I haven’t researched that in great detail. You can find a ton of info about that, and lots of other mid-19th century reenacting stuff at the Sewing Academy, which I highly recommend as it’s an excellent resource! Thanks! Do you know of a particular thread on the Sewing Academy I should look at? I have been haunting the SA forums for about 5 years (Posting as Miss Lucy Martel 🙂 ) But I have never seen anything about lady’s watches. I ment to tell you before, but I LOVE your blog! I have been reading it for about a year, but I just began actually following it (or what ever it is called when you get alerts about a new post). 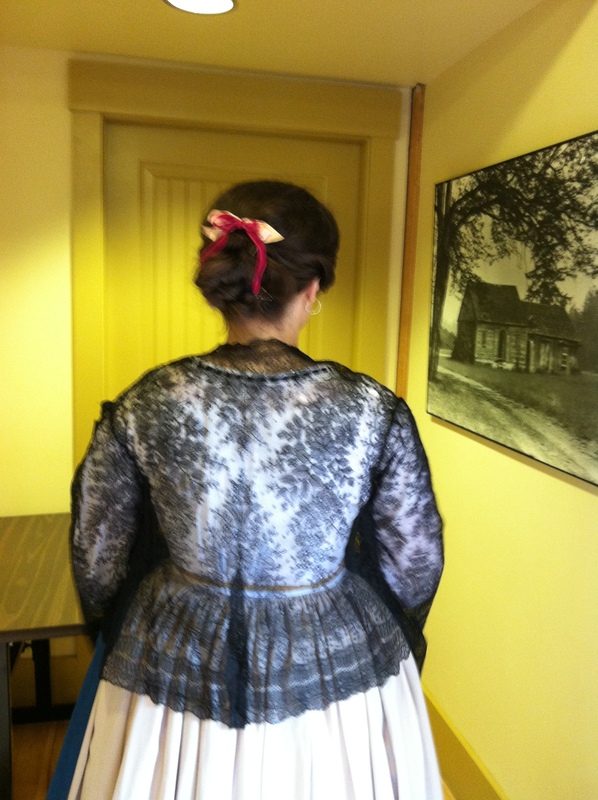 Your historical clothing is beautiful!